Should I Take my Dog to a Groomer? Whether you have a long or short haired dog, it’s important always to keep them well groomed. Of course, this will definitely help your animal feel much more comfortable, but it will also keep their coat in tip-top shape (and away from pests that might linger). If you’re not sure whether you should do the task yourself or bring them to a groomer, here’s why you should opt for the latter. Is your pooch energetic or calm? No matter what their personality may entail, a professional groomer will be able to handle your dog with ease! 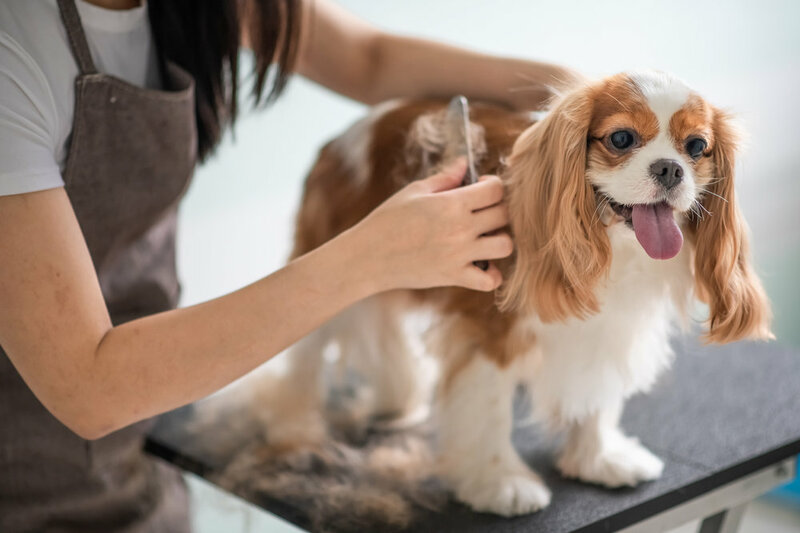 Not only will the groomer keep a close eye on your canine, but they’ll make sure that they’re comfortable throughout the entire grooming session — because just like their human parents, dogs can get a bit impatient when getting their haircut! Another great reason why you should bring your dog to the groomer is that they have the essential tools to keep your dog’s coat in tip-top shape! Sure, you could just purchase your own grooming products, but you might not know which to get for their particular coat. Of course, your groomer will know which will be the perfect brush/comb combo for your canine, which will make managing their fur an absolute breeze! Does your dog tend to have dry fur or a tick/flea problem? If that’s the case, then a certified dog groomer will be able to accommodate and cater to those conditions with ease. Additionally, groomers will also be able to check for any irregularities with their fur/skin, giving you a heads up that you should make an appointment with the vet. Dog groomers act as a second set of eyes that will help keep your fur baby in pristine shape! Looking to purchase some dog care essentials? Give us a call at 516-739-1015 to see what we have in stock at the store!